Traveling north on Interstate 95 isn’t anyone’s idea of an idyllic car ride. But take a detour just before the Delaware border to begin a relaxing road trip through Cecil County. The drive will take you through historic small towns, scenic wineries and waterfront destinations that wrap around the northernmost part of the Chesapeake Bay. In the northern part of Cecil, visit Rising Sun, where you can sip some rosés, pinot noirs and vignoles at Dove Valley Winery. Two town attractions will delight young kids: Kilby Cream, a dairy farm that sells homemade ice cream, and Plumpton Park Zoo, whose animals include wildcats, an African-crested porcupine and boa constrictor. In nearby Colora, Firetower Brewing Company, Cecil County’s first farm brewery, sells its Farm- Stand Blonde Corn Ale, Jackpot Mocha Stout and the like at local shops, bars and farmers markets. Nearby, the town of North East’s historic Main Street has charming independent shops and restaurants, and you can continue to stroll along to the North East River. Main Street is also home to the tasting room of Turkey Point Vineyard, where you can sip wine and purchase wine glasses, Maryland themed dish towels and other gifts. Nature lovers should head 15 minutes south to Elk Neck State Park for its hiking trails and beach. A walk through the woods leads you to the Turkey Point Lighthouse, which sits on a 100-foot bluff overlooking the meeting of the Elk River and the Chesapeake Bay. 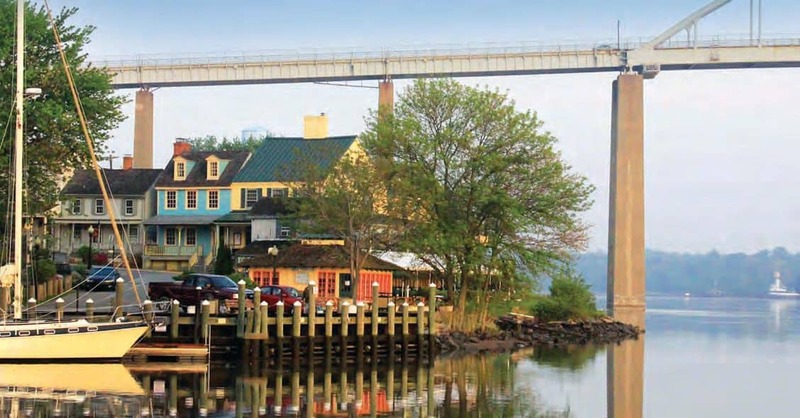 The picturesque town of Chesapeake City is located on the C&D Canal, a waterway connecting the Chesapeake and Delaware Bays. Take a boat ride on the canal or explore the downtown’s eclectic shops, selling everything from toys to chocolates to antiques. The town boasts several waterfront restaurants and the C&D Canal Museum. As you’re heading out of Chesapeake City, stop at Bayheads Brewing Company, a nano-brewery and taproom, started by three friends who grew up here. 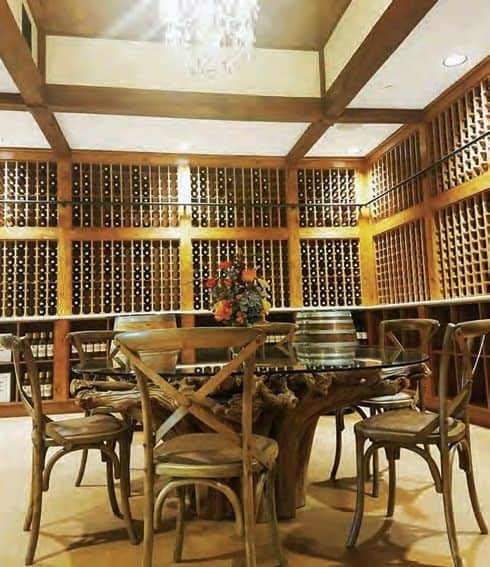 The vineyard sells seven varietals of wine, including merlot, cabernet Franc and chardonnay sold in the tasting room located in downtown North East. The new tasting room features leather chairs, barrel top tables and a fireplace. Sample chardonnay, sparkling pinot noir and luscious merlot crafted by winemaker Jacques van der Vyver. Live music, murder mystery shows and painting classes are some of the events at the 100-acre family farm. 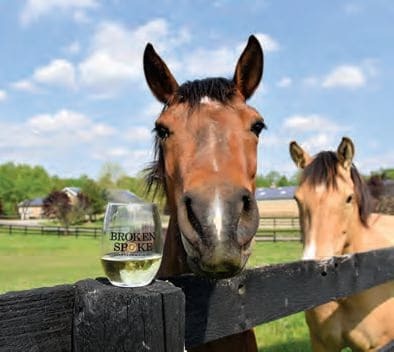 Enjoy a glass of wine in the rustic tasting room and then head outdoors to greet the farm animals. Bayheads became the county¡¦s first brewery when it opened in March. Coffee Stout, blond ale and a black IPA are some of the beers available in the taproom. While Firetower isn’t open to visitors, you can find its quirky brews at local farmers markets. Specializing in steak and seafood, Port House menu highlights include gluten-free crab cakes and a glazed filet mignon. The restaurant uses fresh, local ingredients and makes its ice cream in house. Part retail store, part restaurant, UnWined features more than 100 craft beers and wines. The Kitchen makes its signature crab bisque soup and bread from scratch. Check out the artwork made by Cecil College students. With a tiki bar, ice cream shop, ballroom and crab house, Woody’s has been serving its seafood dishes for 25 years. Rent a cottage on the banks of the Chesapeake and Delaware Canal at Old Wharf, located next door to the Bayard House Restaurant. The pet-friendly luxury B&B offers nature trails and gardens and a spa that offers massages, facials and wraps. The charming waterfront Victorian inn is located in a restored 19th century home in downtown Chesapeake City, just a block from the water. 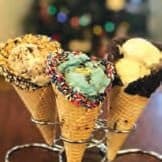 Take the family to this dairy farm for the playground, petting zoo, seasonal corn maze and, of course, ice cream, which comes in 23 flavors. The 200-acre estate features an 18th century Georgian manor house with a colonial kitchen and garden. In mid-September, the plantation will host a Revolutionary War re-enactment. Bears, tigers and giraffes are some of the animals on display at this charming spot. Check the calendar for seasonal family-friendly events. 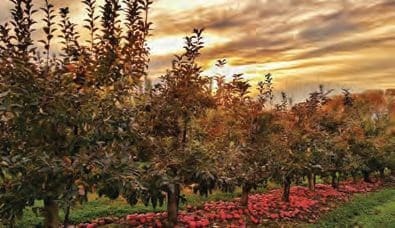 With apple picking and a farm market, Milburn makes for the perfect fall outing. The seasonal Big BackYard features a playground, sandbox and farm animals. The nostalgic shop sells Pez, Pop Rocks, Charleston Chews and other candies from your youth, along with chocolates and whimsical packaging. The candies can be found in North East and at Milburn Orchards in Elkton. Located in a historic building on the town¡¦s main street, the emporium sells candy, toys and a host of eclectic gifts, including purses, jewelry and wine glasses. Once home to a department store, West Street now houses independent shops, including boutique store Steve Lynn’s Bowtique and silver jewelry shop Sterling Station.